Asbestos is very dangerous, if the asbestos fibres are inhaled it cause serious diseases that are responsible for many fatalities. Exposure to asbestos may cause potential life-threating diseases such as asbestosis, lung cancer, mesothelioma and diffuse pleural thickening. Omni Projects keeps with the Legislative Requirements with is governed by the Asbestos Regulation, OHS Act (85 of 1993). 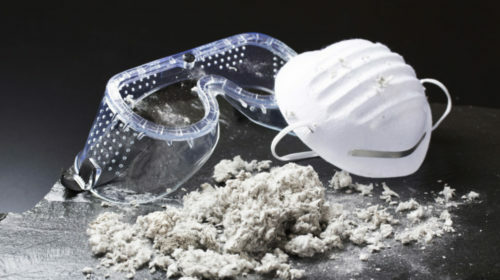 When working with asbestos, the correct PPE (Personal Protective Equipment) has to be worn. No body part of the employee may be visible at any time. Asbestos has to be painstakingly removed piece by piece, and properly disposed of to avoid any harm to employees and public.